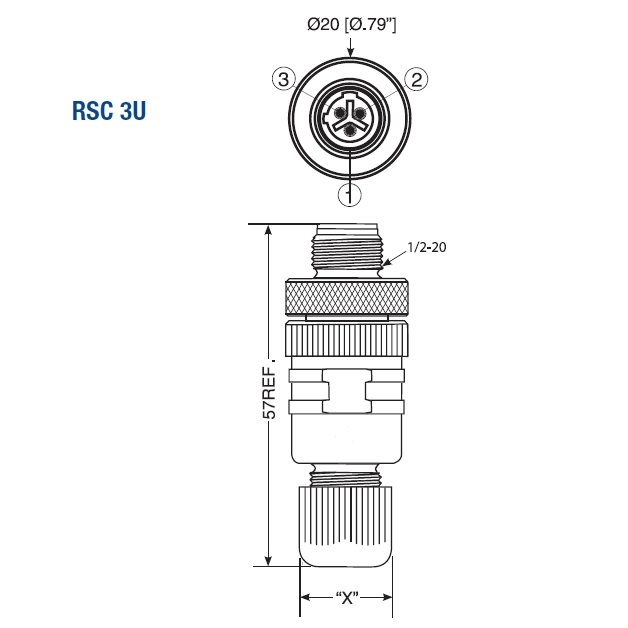 M12 3-Pole Straight Male Connector (RSC 3U/7) | DamenCNC B.V.
M12 MALE connector, 3-pole, dual keyway with threaded RKC 3U joint, assembling with screw terminals. 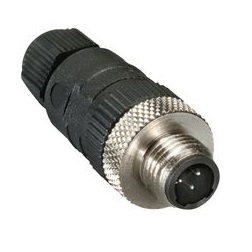 We often use these for connecting servomotor or steppermotor brakes. 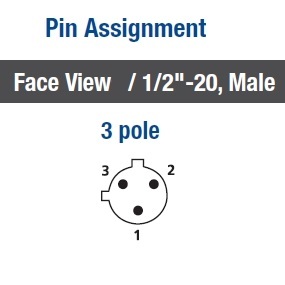 The connector does not fit the M12 4 pole, so there is no risk of accidental plugging into a sensor connector.